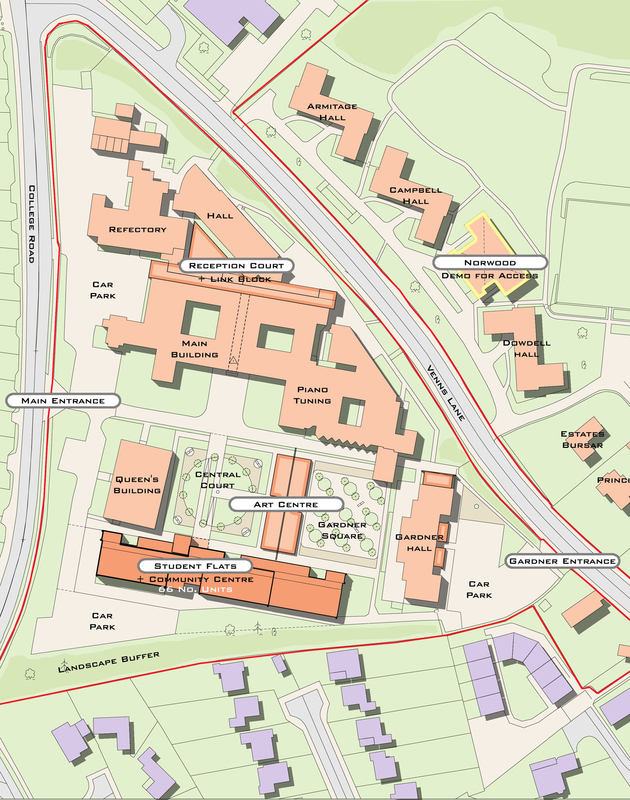 A masterplan for the Royal National College for the Blind (RNC) Hereford city centre campus including a new assessment centre, arts block, sports facility and innovative 3,500sqm accessible residential complex. 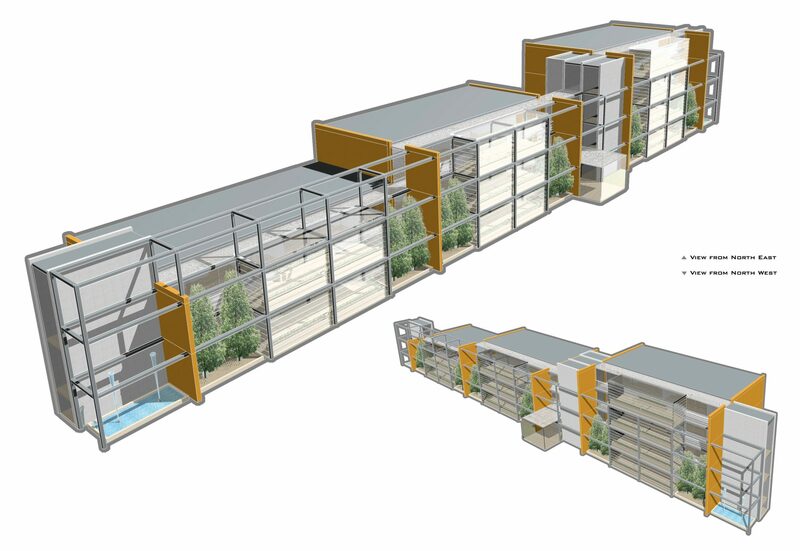 The latter demand for a flexible, accessible and sociable living space for blind students resulted in the adoption of an innovative modular accommodation model. There is a clear hierarchy of public, semi-public and private spaces moving from the north (noisy) to the south (quiet) aspect. 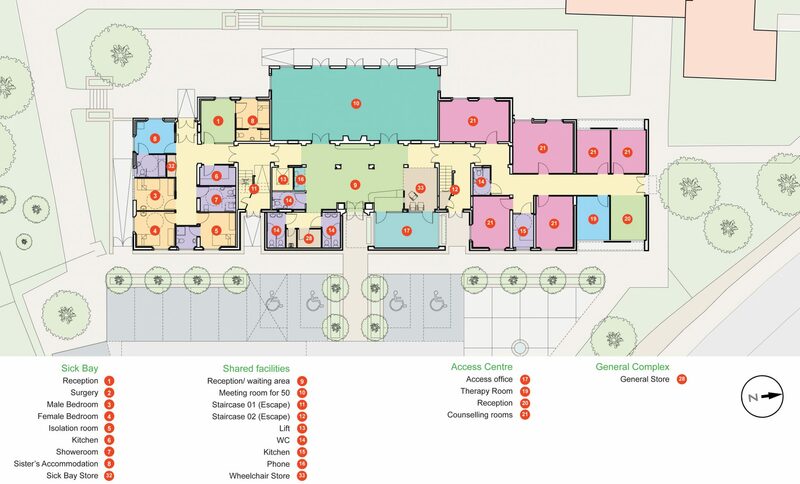 Each student has access to their own bedroom, bathroom and living/kitchen space, designed to instill a greater sense of independence than the traditional halls of residence model.